We all know that mobile internet data does not come for cheap. Your data package allows you a certain limit for a month and after that limit, you pay a high price or your internet becomes really slow. There are even people without data packages, who just have to pay per use for data downloads and uploads. Mobile phone apps can eat up data quickly if you allow all your background apps an unlimited access to the internet. Apps are always checking for new messages, notifications and updates. This can be a nightmare for people with hundreds of apps. So, for such people, it is beneficial if background apps are restricted from going online. The instructions presented below is specific for Nexus 4 phones with stock Android. The same instructions might work for other Android devices with stock like Android build. Go to Android Phone Settings accessible from your app drawer as well as from the shortcut present in your notification drawer. Under "WIRELESS & NETWORKS" you will find "Data usage". Tap on it. 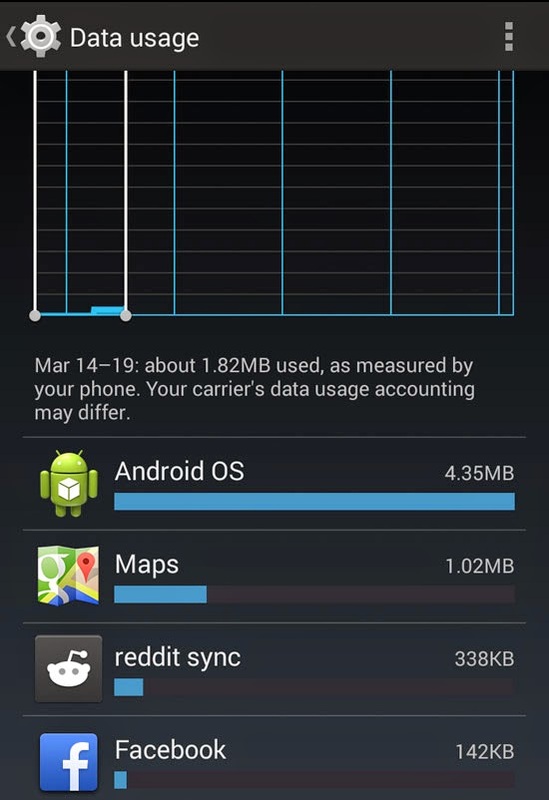 Below your data usage charts, you will find apps and their stats on the amount of data that they have used. Scroll through the app, tap on the ones for which you'd like to restrict background data. On the next screen, you have to scroll down a bit. There you will find a check-box with the option that says "Restrict background data". Check on it to restrict background data. You will have to confirm your action. It does exactly what is written for its description and that is "Disable background data on mobile networks. Non-mobile networks will be used if available." When you turn this option on, that particular app will not be able to connect to the internet in the background. It will download and upload stuffs only when you are using it or when you are on Wi-Fi connection. You will have to un-check this option to reverse what you have done. The steps above restrict data for individual apps. You will have to check every single app capable of using your data to limit them. There is also an option to restrict all background apps from accessing your internet connection. 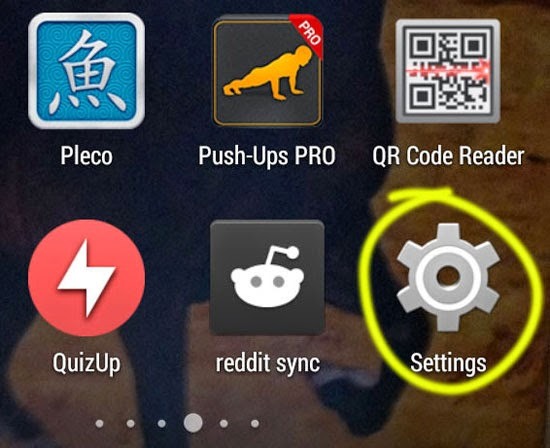 Go to Android Phone Settings, the main settings. Tap on "Data usage" present on top, under "WIRELESS & NETWORKS" heading. On the next screen, you can find three dots placed vertically on the top-right part of your screen. Tap on it to bring out options. From the options, check on the one that says "Restrict background data" and confirm it. 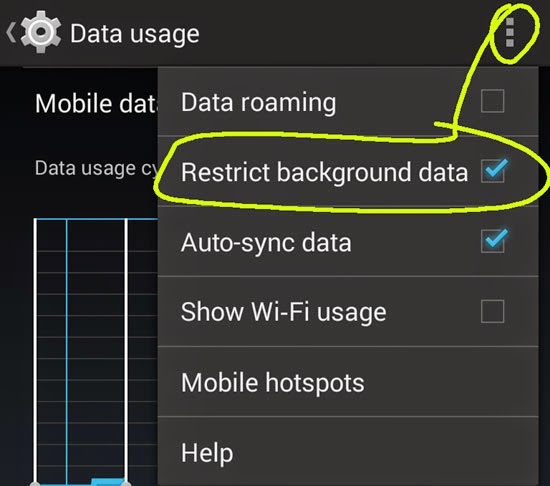 This option will restrict background data for all apps that try to connect to the internet from the background. 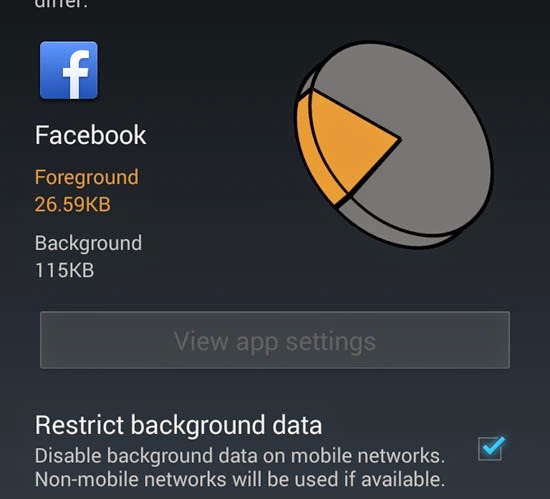 You will also get a "Background data restricted" notification in your phone. Tap on it to remove this restriction immediately. 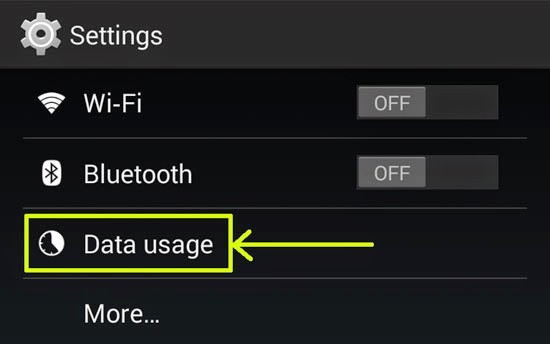 Turning this option does save up your mobile data.